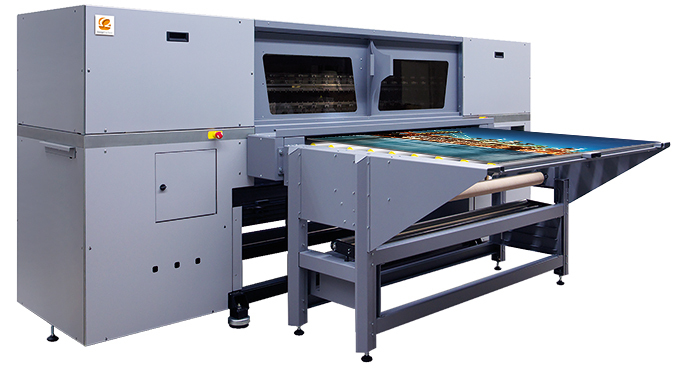 The Durst Omega 2 is renowned for its versatility when it comes to flatbed printing, the UV LED Flatbed printer is capable of printing on almost any substrate up to 1.6 meters wide. 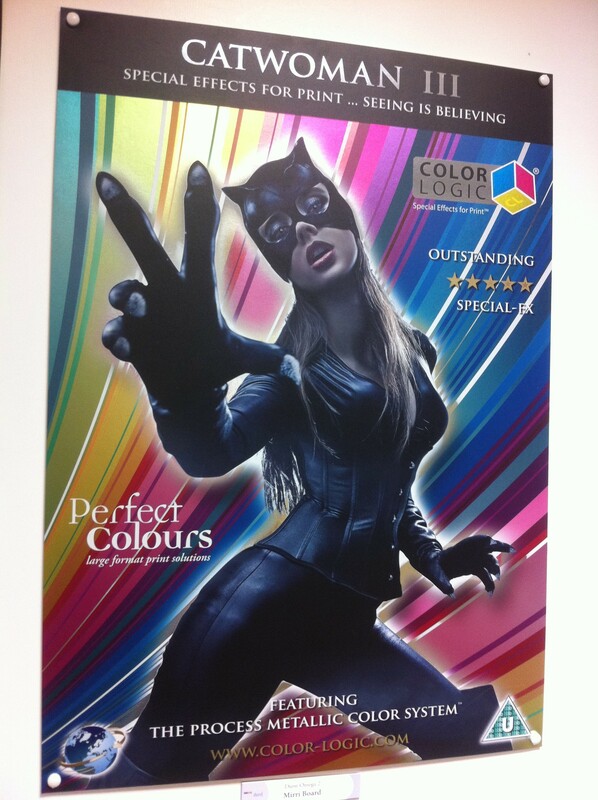 So far Perfect Colours has managed to print on everything from wooden doors to iPads to bubble wrap, however this is the first time the Omega 2 has produced prints with a metallic effect without the use of metallic inks. "The tests we've done so far have been very successful and the samples look fantastic, but from an engineering standpoint we need to test the reflective properties of the media to assess whether there could be any long-term impact on the machine. We are currently in the early stages of testing various materials and also evaluating Color-Logic's Process Metallic Color System." With a growing demand for metallic effects, printers are continually looking for ways to reduce the associated costs while still producing high quality effects. Mark Geeves, Sales and Marketing Director of Color-Logic stated that, "brands want their POP or signage to match up with their packaging and labels so there is a growing demand to stand out from the competition". For more information on how the Durst Omega 2 can transform your printing business give us a call on 0845 680 9000 for a consultation and demonstration.